From the bestselling author of The Monk of Mokha and The Circle comes a taut, suspenseful story of two foreigners' role in a nation's fragile peace. An unnamed country is leaving the darkness of a decade at war, and to commemorate the armistice the government commissions a new road connecting two halves of the state. Two men, foreign contractors from the same company, are sent to finish the highway. While one is flighty and adventurous, wanting to experience the nightlife and people, the other wants only to do the work and go home. But both men must eventually face the absurdities of their positions, and the dire consequences of their presence. With echoes of J. M. Coetzee and Graham Greene, this timeless novel questions whether we can ever understand another nation's war, and what role we have in forging anyone's peace. 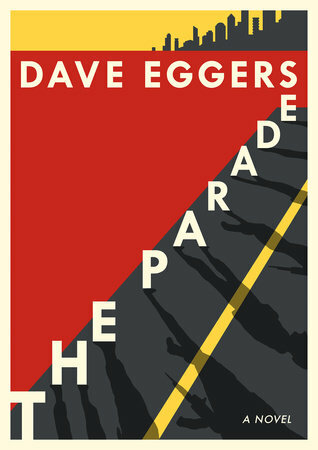 Dave Eggers is the author of many books, including The Monk of Mokha; Your Fathers, Where Are They? And the Prophets? Do They Live Forever, shortlisted for the Dublin International Literary Award; A Hologram for the King, a finalist for the National Book Award; and What Is the What, a finalist for the National Book Critics Circle Award and winner of France's Prix Médicis Etranger. He is the founder of McSweeney's Publishing and cofounder of Voice of Witness, a book series that uses oral history to illuminate human rights crises. In 2002, he cofounded 826 Valencia, a youth writing center with a pirate-supply storefront, which has inspired similar programs around the world. ScholarMatch, now ten years old, connects donors with students to make college possible for all. In 2018 he cofounded the International Congress of Youth Voices, a global gathering of writers and activists under twenty. He is a winner of the Dayton Literary Peace Prize and the Muhammad Ali Humanitarian Award and is a member of the American Academy of Arts and Letters.